2 clear race wins for Carl Ostermann! Once again, at the second stage of the ADAC SX Cup in Chemnitz, FOX youngster Carl Ostermann managed to dominate the racing action. After a holeshot followed by a clear start-finish-victory on Friday, Saturday looked no different. Carl dominated the competition and completed the second event with a 10-second headstart. 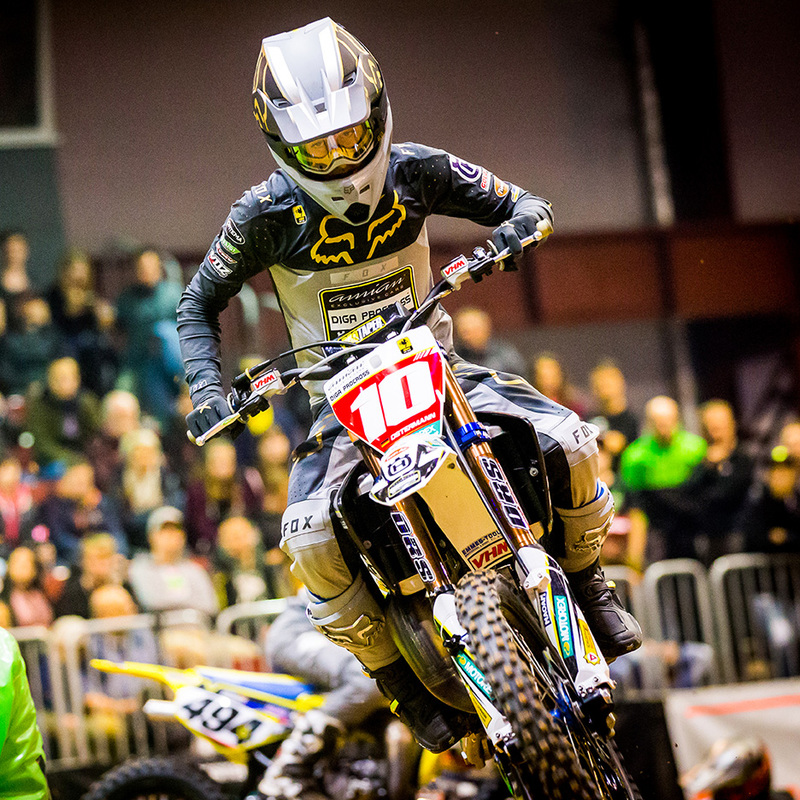 With four race wins and 100 points under his belt in the ADAC SX Cup so far, the 14-year-old from Bonn defended the Red Plate for the final showdown in Dortmund 11-13 January. It’s all good – the result is fine and I didn’t make any errors. The ban on jumping at the finish-line-jump annoyed me, but race management’s arguments were understandable. Now I’m really looking forward to the final in Dortmund, which will also be my last event on the 85cc bike! Chemnitz was a good event for Carl. After the last race he worked on his starts and improved them a lot. Carl was ready and on point all weekend. Even if the track did not allow Carl to show his technic, he was able to push hard to make the difference both nights.